Alfajores and Rogel cake are made in St Lazare by argentinean's rooots. All with Dulce de Leche! Cornstarch Viva Argentina Alfajores are Argentinian cookies that literally crumble in your mouth. A delicious and light cornstarch biscuit, filled with "dulce de leche", a milk-based jam spread. Ideal to accompany coffee, tea, or simply as a dessert. The best ever chocolate and dulce de leche alfajor in Québec! Have your best caffe latte or expresso with a chocolate Viva Argentina alfajor. Your will love the experience! Cornstarch Alfajores are Argentinian cookies that literally crumble in your mouth Ingredients:..
Cornstarch Alfajores are Argentinian cookies that literally crumble in your mouth. (6) Ingredi.. 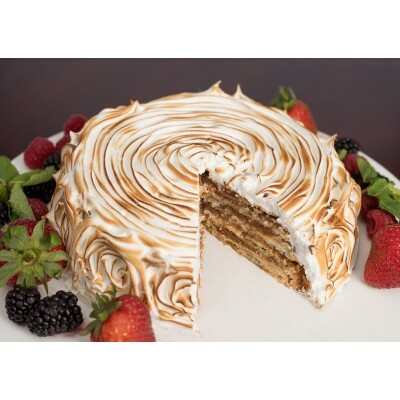 The Rogel cake is an Argentinian national dessert. 8 layers of home-made unsweetened dough and 7.. 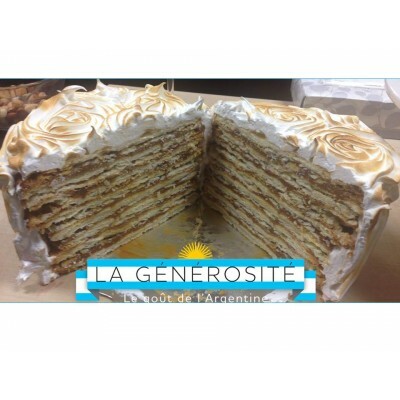 The Rogel cake is an Argentinian national dessert. 4 layers of home-made unsweetened dough and 3..